As with all chiropractic techniques, each adjustment can boost your immune system, increase your energy levels, reduce stress, relieve aches and pains, and other healthy lifestyle choices. At Belanger Chiropractic Life Center, we practice Atlas Orthogonal Chiropractic, developed by Dr. Roy W. Sweat. The procedure that we utilize to correct your spine begins with checking the structure, function and biomechanics of the upper neck, referred to as the upper cervical spine. This procedure has been developed for over fifty years and was designed to realign and stabilize your entire spine in the most efficient and gentle way possible. Atlas Orthogonal Chiropractic is an effective health care program which provides precision treatment without drugs or surgery. It is used to find and correct spinal supplication misalignments based on scientific and biomechanical procedures. The technique focuses on the first vertebra in the neck just under the head. When this bone is out of place by even a millimeter, it can cause pressure on the spinal cord, which can affect any and all functions of the body. All the information the body needs to function comes out of the brain and down the spinal cord. When there is pressure on the nervous system, in the cord or in the peripheral nerves, the body cannot function at its optimum level. As with all chiropractic techniques, each adjustment removes this nerve pressure and boosts the immune function of the body, allowing the body to reach its highest potential. Why is the Atlas Important? The most important part of the upper cervical spine is the first cervical vertebra, nicknamed the atlas. This tiny 2 ounce bone must balance the weight of the head, which is normally between 12 and 15 pounds. Further complicating matters is that the atlas is the most freely movable vertebra in the entire spine. There are no spinal discs in this area of the spine, and there are no joints in this area that lock the atlas into place and restrict its movement. Since the atlas has the most amount of movement out of any vertebra in the spine, it also has the most potential for misalignment. Both major and minor physical traumas can cause the atlas to become misaligned, or subluxated, which in turn throws off the weight of the head to one side. The result of losing this delicate balance of the head is that the rest of the spine compensates by abnormally bending and twisting to keep the weight of the head over the center of the body. When the spine compensates in such a manner, over time any number of health problems can ensue. The following illustrations help describe the relationship between the atlas and the rest of the spine. The normal curve of the spine is admirably suited to the task of comfortably keeping the body’s center of gravity properly positioned over its supporting legs. When the spine is curved abnormally because the spinal vertebrae have slipped out of proper alignment, even by the smallest degree, profound consequences occur which may, if left untreated, affect the health of the entire body. This is especially true when misalignment occurs in the neck (cervical spine). 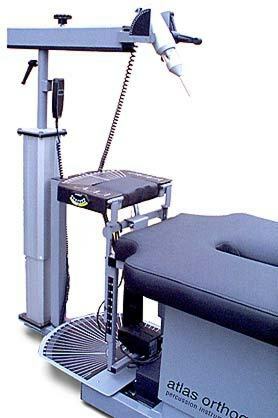 The Atlas Orthogonal Chiropractic allows the doctor to achieve maximum results with minimal force. Patients tend to hold their adjustment, meaning that the atlas subluxation has been corrected and the correction is staying in place. When this occurs, the patient doesn’t need their atlas adjusted on every visit. As the atlas holds its adjustment for longer and longer periods of time, the body begins to heal itself as the structure of the spine begins to move back into a state of alignment. Because of this unique style of adjusting atlas subluxations, many patients with conditions that have not responded to regular chiropractic adjustments find success in our office. The joints of the upper neck are the most complex in the entire body, and each misalignment of the upper cervical area is unique. It is impossible to accurately understand everything about the misalignment of this area just by feeling and examining the neck. For this reason, very specific x-rays are taken. A considerable amount of time is spent analyzing them to understand how best to adjust and unlock the upper cervical spine for each patient. X-rays are taken of your upper neck from three different angles: the side, the front, and the top. You are, after all, a three-dimensional person, and often, the atlas has misaligned in all three dimensions. The Atlas Orthogonal adjustment affects the position of the atlas in all three of these dimensions. From these x-rays, the amount of atlas misalignment is actually quantified and a mathematical formula is derived that will provide the doctor with the instructions on how to best deliver the atlas adjustment. Following the first adjustment, the doctor may retake the views from the front and from the top in order to determine the extent of correction that was achieved. The Atlas Orthogonal Precision Instrument was designed to deliver a precise chiropractic adjustment based on the specific misalignment findings from your x-rays. To adjust the atlas, the patient must lay on their side with their head resting on the headpiece. Which side the patient lays on will be determined by the doctor after analyzing your x-rays. The instrument is then set to match the vectors of atlas misalignment from the x-rays. The metal stylus of the instrument is placed behind the patient’s ear (where the atlas is located) just on the surface of the skin. The instrument then delivers a mechanical impulse through the stylus; this impulse is then transferred to the atlas, making the appropriate adjustment. The instrument allows the doctor to adjust the atlas subluxation with a very high degree of precision while applying minimal physical pressure. This eliminates most patient discomfort during treatment. If your pain does not get better on it’s own or you are experiencing pain radiating into your shoulders, arms, buttocks, legs, hands or feet, you should get checked out immediately at Belanger Chiropractic Life Center. New Patients are by appointment only and established patients can schedule an appointment or walk-in. For more information and appointments call 770.760.1394. Click here to determine if we accept your insurance. Click here for more info about our cash plan with Chiropractic Life Care of America. Click Here for New Patient Information and Paperwork. Belanger Chiropractic Life Center expressly disclaims all warranties and responsibilities of any kind, whether express or implied, for the accuracy or reliability of the content of any information contained in this web site, and for the suitability, results, effectiveness or fitness for any particular purpose of the services, procedures, advice or treatments referred to herein, such content and suitability, etc., being the sole responsibility of parties other than Belanger Chiropractic Life Center, and the reliance upon or use of same by you is at your own independent discretion and risk. 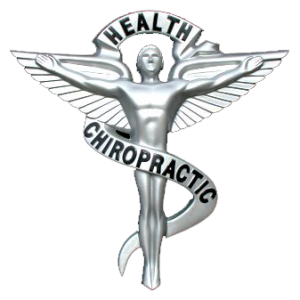 Additionally, the information contained in this web site is for sole purpose of identifying chiropractic care or treatment which may be available from a qualified chiropractor. This web site does not offer a form of medical advice. Doctor does not represent, warrant or guarantee that any specific treatment is appropriate to your present or future needs. Please contact a qualified medical professional or hospital if you are experiencing pain or have an emergency.